Ever considered driving on Pilot mode? Or perhaps you want to know how it feels like to ride in a bomb-proof badass car? Well, you are definitely in luck because German-made cars are here to sweep you off your feet with their exclusive features. Powerful, reliable and chic, German cars are a true superstar in the automotive industry. With so many features wrapped in just 1 package, these cars are proof of why we drive in the first place. So if you’re looking for cheap used cars online, let’s take a look at some of the German brands that make buying a second-hand vehicle worth it. The road to reaching the top is rough and muddy, but thanks to BMW’s perseverance, the company has successfully placed itself as a frontliner in the automotive industry. 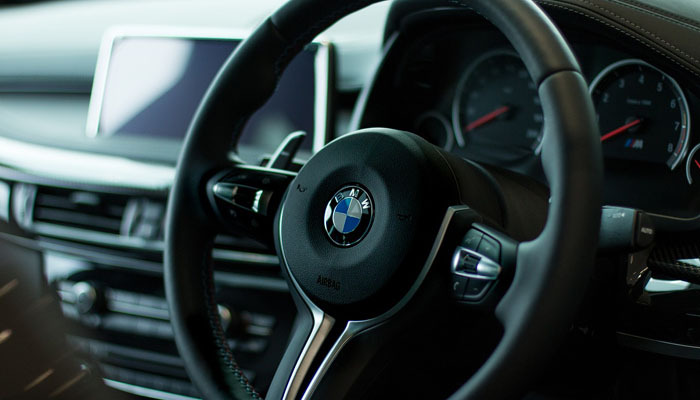 No matter where you are, you’ve surely seen a BMW as you drive along the streets–proof of how the company has gained prominence in different parts of the world. While its cars already flaunt a luxurious configuration, BMW gained supremacy with its perfectly engineered engine, which is a product of years of unwavering commitment and dedication. The company’s best-selling models include, but are not limited to, the BMW 7 Series and the BMW X-Series, which are highly exported to different countries. There are also other cheap used cars online that carry BMW’s prestigious name like the BMW i3–an electric vehicle with high safety ratings. Additionally, the company is also known for its SUV models, which are both driver and passenger friendly. Audi didn’t stop at conquering the local scene as it has now become a global name, thanks to its inventive features. From featuring infotainment to displaying traffic and weather information by its very own Audi Connect, the brand continues to become triumphant with its remarkable qualities. But aside from its already impressive luxury features, Audi became a household name when it launched the quattro system, which made headlines in the world of racing. Lighter, more powerful and more efficient, the Quatro series makes it easy for you to stay on top of your game. While luxury and performance are already imprinted in the brand, Audi also offers small vehicles that are ideal for day-to-day drive. If you are looking for cheap used cars online, don’t forget to check out some of Audi’s best-sellers such as Audi R8 V10, Audi TT, Audi A6, Audi A8 and Audi Q5. These cars, along with other Audi models, are dominating not just Germany, but Middle East, Africa and China as well. From mini coopers to sports cars to luxury vehicles, Mercedez Benz never fails to stay ahead of the competition by offering a wide array of vehicles that are built on quality, comfort and performance. As the company evolved, its technological features also advanced to the point when driving doesn’t have to be a part of your to-do list anymore. With its Drive Pilot feature, you can sleep soundly as you travel towards your destination since your car can do the driving–and the parking–for you. Some Mercedez models can also be summoned by the use of an application–just how cool is that? Talk about innovation and there you have it. With so many amazing options to choose from, you can spend all day and all night finding the right Mercedes model for you. To save you the time and the effort as you look for cheap used cars online, some of the top-selling models from this German manufacturer include the Mercedes c-Class Cabriolet, 380 SEC and S63 Coup. You can also look for Mercedes limousine models, which can definitely make a strong statement. Think legends can only be found in museums? Well, a Porsche car is definitely not hanging on a museum wall. After achieving enormous success in the world of motorsports, Porsche is a name that has already been encrypted into the automotive industry. Through its powerful engine and reliable car features, Porsche has managed to climb the ladder to success with grace and ingenuity. Its strong global presence makes it a hard competition to beat, especially when it comes to racing. Aside from racing cars, the German company also offers plug-in hybrid car variants that are both eco and passenger-friendly. Price wise, Porsche, along with other German brands, are made for the high-end market. You can look for cheap used cars online that are no less efficient. Some of the top exported Porsche brands are Porsche Panamera, Porsche 911 and Porsche Cayenne. So if you like driving like a true hero of the road, a Porsche car is definitely your best pick. Germany may be most known for its luxury cars, but it doesn’t mean that the country has nothing to offer to the low and mid-level market. Tagged as “the car of the people,” Volkswagen shows the world that efficiency, reliability and class can be packaged in a cost-efficient vehicle. If you’ve been a fan of the Rabbit and the Beetle, you’d surely know that Volkswagen is the epitome of reliability. Old as they may seem, but these models continue to dominate the urban roads with their quirky appeal. In fact, it’s hard not to get attracted by Volkswagen’s exteriors, which look like they’ve been created with style and personality. Other than the iconic Beetle, Volkswagen is also famous for the Volkswagen Golf, the Volkswagen Tiguan, the Volkswagen Jetta and the Volkswagen Scirocco. Fortunately, these models are easy to find once you look up on cheap used cars online. What’s even better is that you can save a lot of money from buying second-hand vehicles that are still two thumbs up in terms of quality. Finding cheap used cars online may seem like a challenging feat especially if you are after German makes and models, but thanks to our Car auction tool, you can search for your dream car model with ease and confidence. Our company has a wide range of German-made cars that can fit both your needs and your budget.